Lawn chairs take a lot of abuse from people and the elements, which is why heavy duty lawn chairs are a far better investment than flimsy ones. Heavy duty chairs can be a great investment because when you buy the right type of furniture you can be sure that it will last for many years to come. Rather than getting something that will quickly become damaged due to the weather or a lot of use, buy a strong chair will hold up to abuse and last for much longer. When referring to lawn chairs, the term "heavy duty" basically means something that can withstand just about everything man and the environment throw at it. The best furniture will have a mix of a strong, quality material and excellent construction. Heavy duty outdoor furniture can be made from several different materials. There are several woods that can withstand the elements quite well: teak, redwood, and cyprus are among them. They are naturally suited to the outdoors and tend to be insect and rot-resistant. Certain resins (such as those made to resemble wicker) can also do well outdoors, but whether or not they can be considered "heavy duty" really depends on the construction. They can be quite weather resistant, but sometimes they can't withstand really heavy weights. Aluminum is an excellent material for use in heavy duty outdoor furniture. Good quality aluminum is lightweight, durable, relatively rust-free, weather resistant, and easy to maintain. When properly constructed, aluminum furniture can be your best bet for long-lasting, heavy duty outdoor furniture. A big factor in whether or not a chair is considered heavy duty is the weight it can handle. 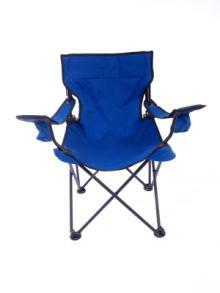 A good quality heavy duty outdoor chair should be able to handle 300 to 400 pounds (some can handle more). Before purchasing this type of chair make sure it can handle the weight you need. Heavy duty lawn chairs will be able to hold their own against bad weather. They shouldn't be easily damaged by strong winds and rain. Heavy duty folding chairs are a great investment because they last a long time and can easily be transported. Unlike non-folding wood and metal chairs, the folding aluminum variety can be taken just about anywhere. They are often made with strong canvas or nylon seats and backs and are constructed in a way so that they can handle large weights. These types of chairs are incredibly popular for camping and hiking because they can so easily be packed into a car and then carried around. They're very lightweight and can be collapsed and put in a bag, making them very easy to carry. While they won't get damaged by inclement weather, keep in mind that they are lightweight and make sure that they are secured to something or taken inside if you're expecting high winds. The chair you buy should be able to withstand just about anything, so make sure that it is tough enough and strong enough to suit your needs. Take a look at the manufacturer and be sure they have a good reputation. If you're unsure, just do a quick Internet search. There are reviews and reports on just about every product out there so you should be able to find some info without too much trouble. While this may seem like a bit of a pain, it's better than purchasing a chair only to find out that it can't handle what you put it up to. Heavy duty lawn chairs are a great option for people who need furniture that can withstand a lot of weight as well as abuse from the environment. They're easy to find and will last for many years to come.